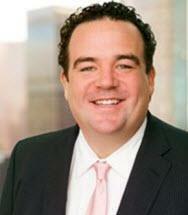 Nick Begakis focuses his practice on complex litigation and trial work. His experience encompasses both complex civil and criminal litigation, including business disputes, consumer class actions, product liability defense, environmental litigation, real estate litigation and white collar defense. Mr. Begakis has tried cases in both state and federal court and has experience at all phases of litigation. Prior to joining LimNexus Mr. Begakis practiced at Paul Hastings, LLP, Glaser Weil Fink Howard Avchen & Shapiro, LLP and served as an extern to the Hon. Marvin Baxter of the California Supreme Court. Represented a former inmate in trial of claims related to inadequate medical treatment while in custody; case settled favorably during jury deliberations.